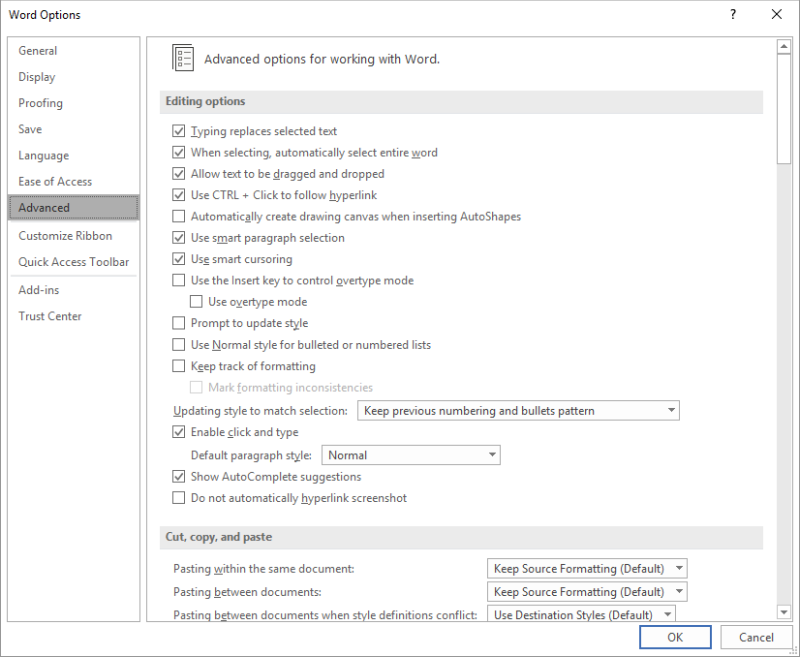 Word has many different tools you can use to edit your documents. Perhaps one of the least used, but most unique methods of editing your document, uses the mouse entirely. You can use your mouse to move text, the same way you would move another element, such as a graphic. To move text with your mouse, you need to first ensure that the feature is enabled. 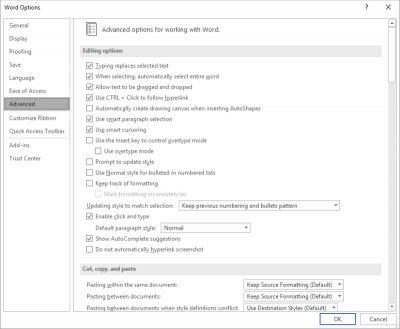 At the left side of the dialog box click Advanced. Click on the text with the mouse and drag it to where you want it moved. If you want to simply copy your text (instead of actually moving it) you can hold down the Ctrl key while using the mouse to drag the selection.